2" x 7.5" - Design on front side only. 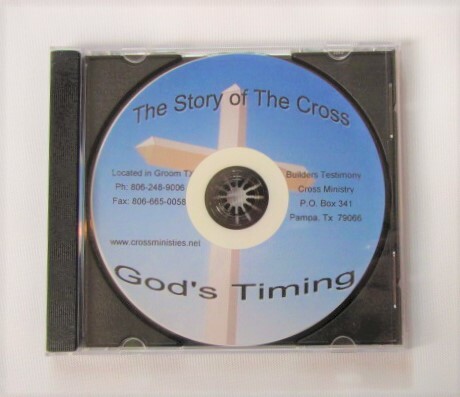 Story of the cross narrated by Steve Thomas - builder of the cross. 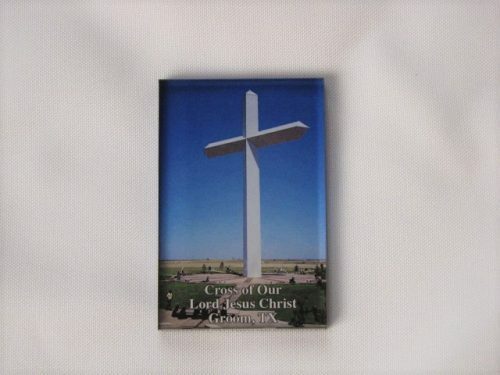 Gives you the history of the Cross including the year of construction, how it came to be located in Groom, and information about trials, obstacles, and challenges that had to be overcome before the Cross could be constructed. Acrylic Magnet. 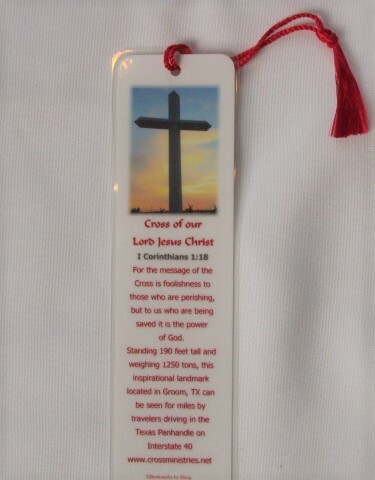 2" x 3" - Beautiful picture of the cross with the words "Cross of Our Lord Jesus Christ" on lower portion. 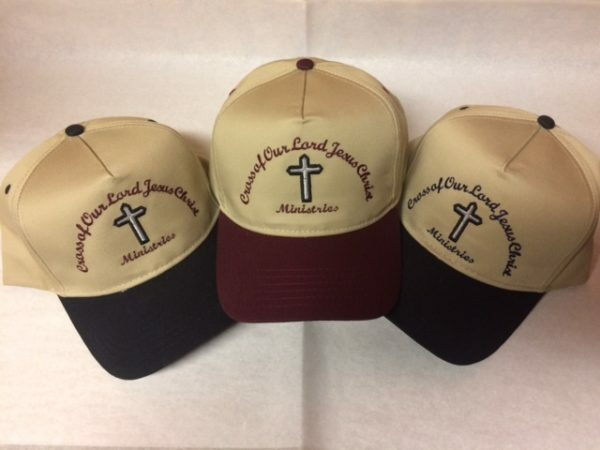 Dark Grey - 50% Cotton/50% Polyester. Antique Red - 90% Cotton/10% Polyester.